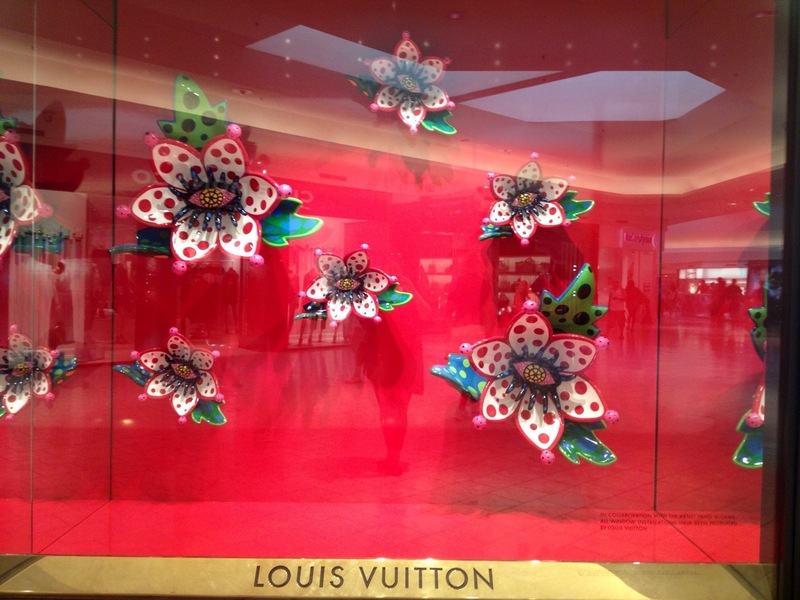 If you think that Louis Vuitton had a massive make over to its boutiques worldwide, well you aren’t half wrong! 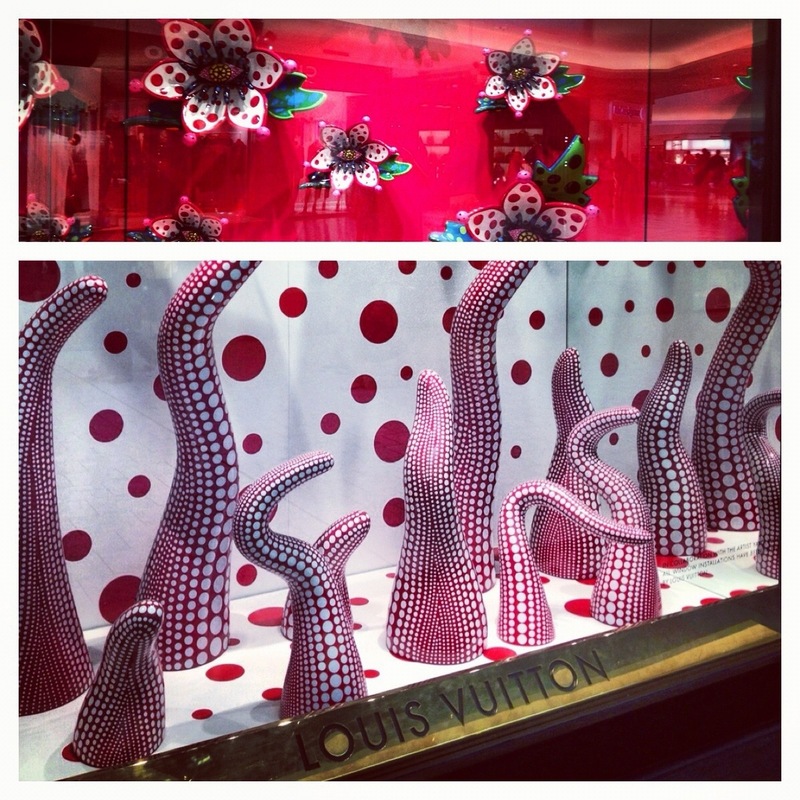 Earlier this year Japanese artist Yayoi Kusama collaborated with creative director of Louis Vuitton, Marc Jacobs to transform LV into a wonderland of Pop Art & polka dots! In 2006, Kusama collaborated with Jacobs on a line of Louis Vuitton products that included leather goods, accessories, shoes, jewelry, and RTW reports. These highly awaited fashion goodies were premiered in the beginning of July 2012; long wait , huh? Well it was well worth it! Each accessory & clothing item was designed to match the window’s art display & installations. Kusama, who is now 82 is most famous for her colorful and bright artwork renowned for her extensive use of polka dots! When I was done going through my fit of excitement a salesman from the store was leaving on his lunch break & noticed the vintage LV shoulder/cross body bag I was sporting! In conversation I told him it was my mom’s in the early 80’s and that she let me use it now! He commented on how it should make a comeback in the LV collection! He was sweet! So kiddies, the next time you go to the mall, NYC & JAPAN may be waiting for you!! 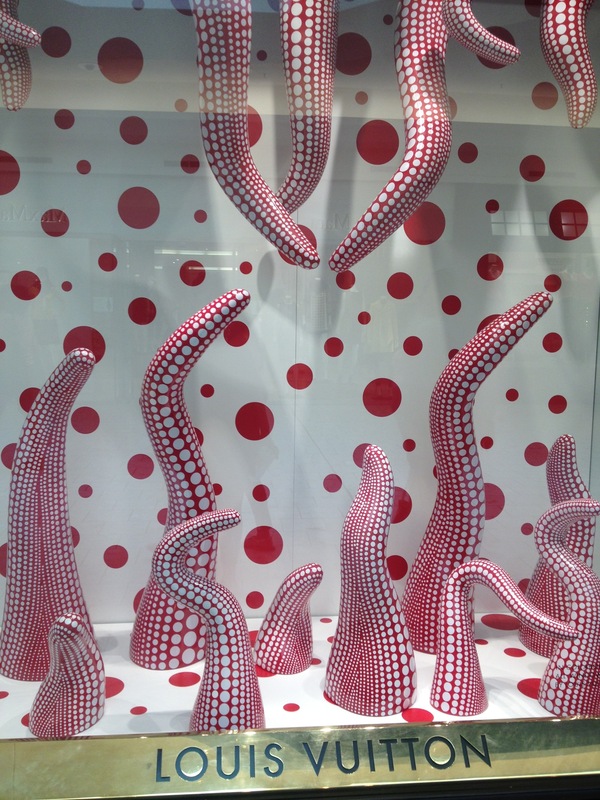 —ohhh those big eyes & polka-dotted tentacles were…AWESOME!! !